We’re really excited to welcome Caspar Hübinger to Human Made as a Digital Marketer! Caspar joins our ever expanding Growth Department, bringing with him years of experience in the WordPress community as an active member of the Polyglot and Community teams. 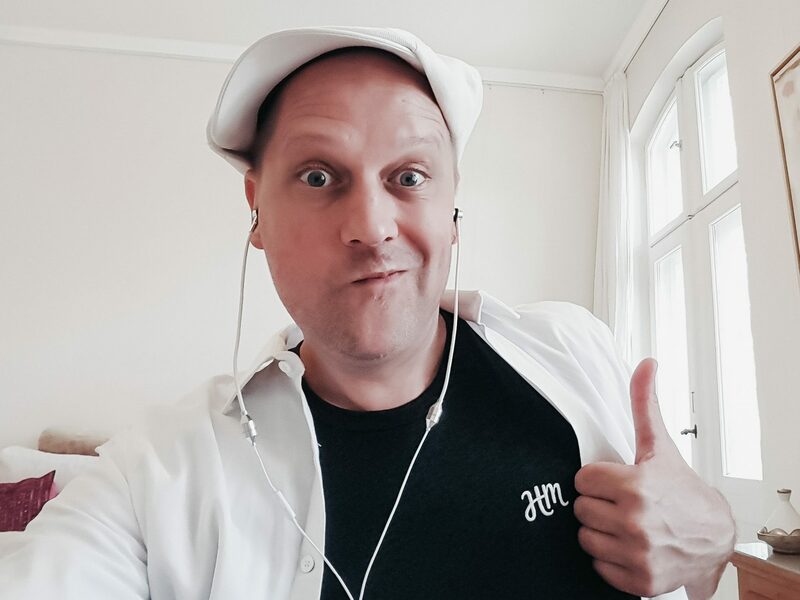 Caspar is a well-known face at WordPress events, and you may have seen him share his thoughts on user experience, or backstage as part of the organising team of the first WordCamp Europe. As Head of Support and Customer Happiness in previous roles, Caspar has a true understanding of the WordPress user, and can communicate complex concepts in clear terms. He also writes on a diverse range of topics over on his blog, GlückPress. Caspar joins us from his home in Potsdam, Germany. Welcome, Caspar! Thanks a bunch, Tom, this is an incredibly exciting moment! Having worn quite a few hats in my twenties and early thirties, I had barely used a computer before I entered the digital space as a “web designer” in 2004 and soon discovered WordPress. After I had discovered freelancing was for others, I found a professional home in customer support for WordPress themes and plugins. The role of a supporter enabled me to combine two things I loved doing: explore new stuff, and help people. Even more so, I found a home in WordPress’ community. I stayed in customer support for five years, gathering tons of insight into what WordPress looks like in real life; and while I dearly enjoyed working with my teams, it also became clear over time that there were other skills I should be exploring. I began to speak at WordCamps; putting together my scripts and slides would require lots of research, and while there is no “classic” marketing background I can rely on, I believe this is where I discovered I had a knack for diving deep into complex topics and coming back up with words people were able to make sense of easier. While Human Made had been on my radar as a company ever since I had seen you, Tom, on the agency panel at first WordCamp Europe in 2013, I wouldn’t typically have applied for a position in marketing when I was looking for new professional direction. A conversation with Noel and Ana quickly changed my mind, though, and here we are! I am absolutely thrilled to join this crowd of fine humans at a time when we see both, exciting and frightening things happen all over Digital, and the role of marketing may become an even more crucial one for the sanity of a free and open web, and for democratic change in general.